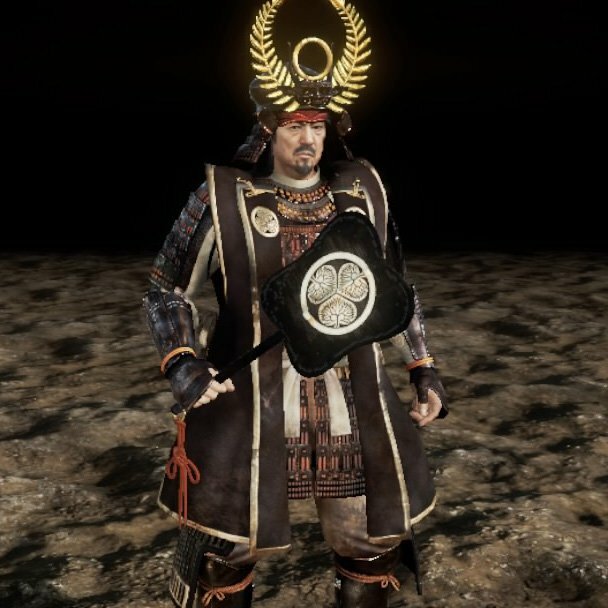 Tokugawa Ieyasu is an NPC in Nioh. Tokugawa Ieyasu (徳川 家康) is the founder of the Tokugawa clan and a retainer to the Toyotomi clan. After Hideyoshi Toyotomi died of sickness in 1598, nearly all of Japan's daimyōs and samurai are split into two factions—The Western Army (Mitsunari's group) and The Eastern Army (anti-Mitsunari Group). Ieyasu first met William in Suruga, where they have a conversation as to what drives William to keep fighting the Oni. 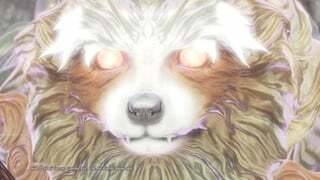 After their encounter, William came to realization that he too desires a world without war, where humans and spirits can exist together peacefully. Afterwards, Ieyasu marched his troops to Edo, where Edward Kelley has made his move. In Edo, Ieyasu witnessed Okatsu being held hostage by Kelley, who demanded Ieyasu to give his life in exchange for his daughter's, but Ieyasu's prompt refusal surpised Kelley long enough to allow Okatsu to quickly break free. Despite being driven to a corner, Kelley managed to escape, revealing that his ploy in Edo was only to distract the Tokugawa forces. 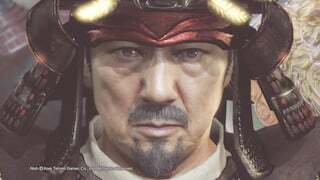 Ieyasu is then informed by the newly arrived Honda Tadakatsu that Ishida Mitsunari has raised an army for a decisive battle at Sekigahara. At Sekigahara, Ieyasu is losing his patience at the indecisive Kobayakawa Hideaki, and has begun firing shots at his base on the hilltops. Not long after, a cannon fire hits the Kobayakawa base, prompting Hideaki to take action and turned against the forces of Otani Yoshitsugu. After being informed that the cannon fire came from the Liefde, Ieyasu praised William for his well placed shot that has given the Eastern Army a major advantage. After Kelley is defeated at Azuchi Castle, Hanzo informed Ieyasu of William's death to which he regrets, saying that he would have given him a proper title and lands if he were still alive. After Hanzo left, Ieyasu told him that he was a good ninja but a poor liar, knowing well that William is still alive. ''Do you think that a world without war is possible, Anjin? I am building one. It will not be easy but I have dedicated body and soul to my task." "Sir Anjin dead...? Hanzo, you are an excellent ninja and a poor liar, even his Guardian cat is speechless"
He is wearing the Greater Good armor set. He is extremely committed to his goal of unifying all under heaven, and is ready to sacrifice anything and anyone. The is shown when he explicitly states that he does not care what happens to Okatsu when she is held hostage, which has even Kelley's eyes widen in shock. 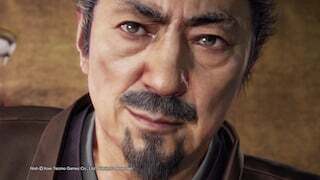 He is voiced and modeled after the Japanese actor, Masachika Ichimura. You can transform into Ieyasu via the Hidden Teahouse for 8200 Glory. He is often called by the nickname of "Tanuki" because of his cunning and posture. The Ogress was formerly his wife, Lady Tsukiyama, whom he had executed for rumors of conspiring with a rival clan. Tokugawa Nobuyasu was one of his sons, and also Okatsu's elder brother. He was imprisoned for closeness to his mother and later ordered to commit seppuku. Apparently he can see spirits as well as evident in the final cutscene.